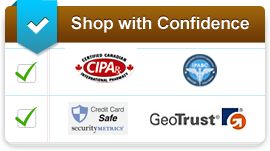 Blue Sky Drugs will match any price offered by another Pharmacy Checker and CIPA approved online pharmacy. It must also have an active shopping cart. Any price matches must be approved before the order is processed. This policy applies to products that are the same quantity, same manufacturer and are shipped from the same country. Introductory pricing or promotional pricing will not apply. We must also be able to verify the price by viewing it on the competitor's web site in real time. If your package arrives and you are not satisfied, you may return the product, unopened, for a 100% refund. If you have opened the package and are not fully satisfied, you may return the package within 14 days from its arrival for a 50% refund. Note - Returned packages must be returned via regular mail. Any packages sent collect will not be accepted. At Blue Sky Drugs we strive to ship orders in the most efficient manner possible. 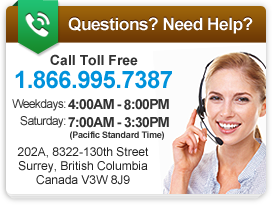 If you do not receive your Canadian package within 21 days of its ship date, we will reship the package for you. If you do not receive your overseas package within 30 days of the ship date, we will also reship it at our expense. Please note this policy applies to lost packages only. Delays due to natural disasters, snowstorms or other unforeseen events will not be eligible for a reship or a refund.